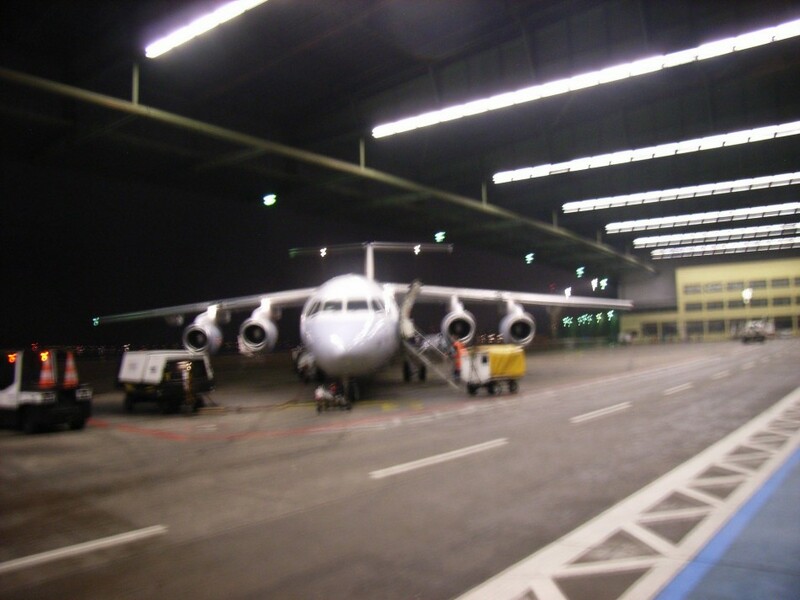 Until 2008, I remember flying to Brussels from Tempelhof (THF). It used to be really convenient, more like taking a train. 5 minutes luggage drop-off and check-in. Vintage waiting rooms : you expected Marlene Dietrich jumping out of the propeller plane waiting for you on the tarmac. Despite enjoying that, I voted, like most Berliners, for the closure of the airport at the 2008 referendum. Neukölln would never have become the hipster Mecca with planes flying over their bearded heads. Yes indeed they asked us ! And then again in 2014 if we would agree constructions on the airfield. 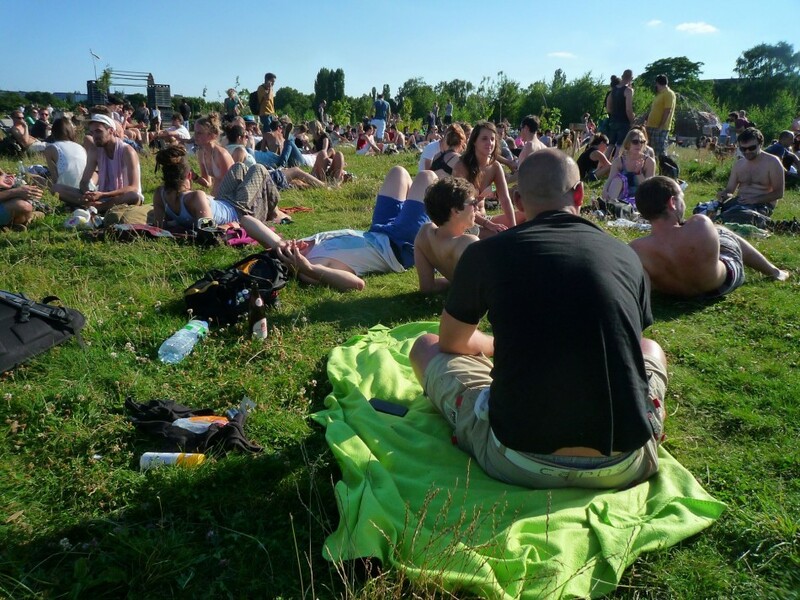 Again Berliners denied it and now still enjoy this crazy park. A user generated and over-sized Folie. A playground for any age class with varieties of hobby. 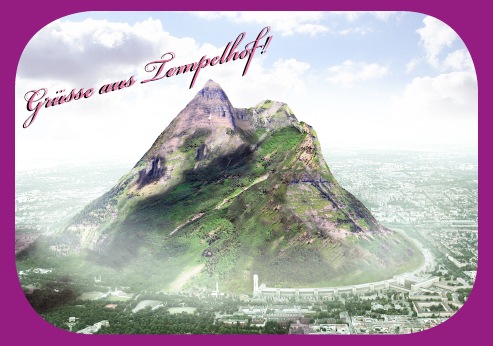 I guess the Berg has been especially popular among Berliners because the city features a lot of districts with mountain names : Kreuzberg, Lichtenberg, Schöneberg and Prenzlauerberg. Despite being one of the flattest city I have ever experienced. The ready-made field in itself has been the easiest and most promising of all. Imagine something as big as a low-cost Burning Man, actually free, and everyday, in the city center, with less drugs, you just bike there to meet friends and have a drink. Sure it rains more often and closes at night. It also has not been granted from beginning. The city has first been wanting to keep it for developments. 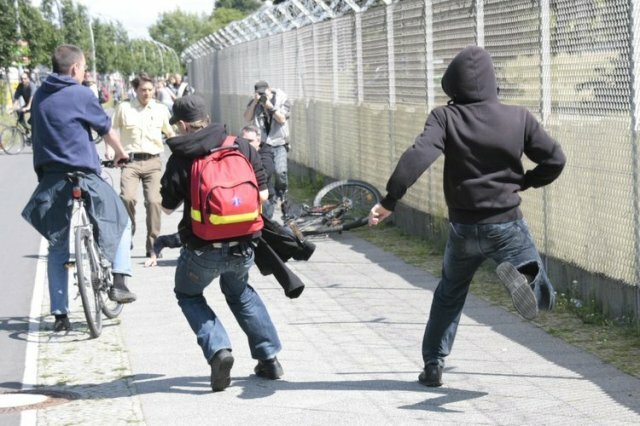 Riots in favor of the opening of Tempelhof, 2009. Photo by Morgenpost. 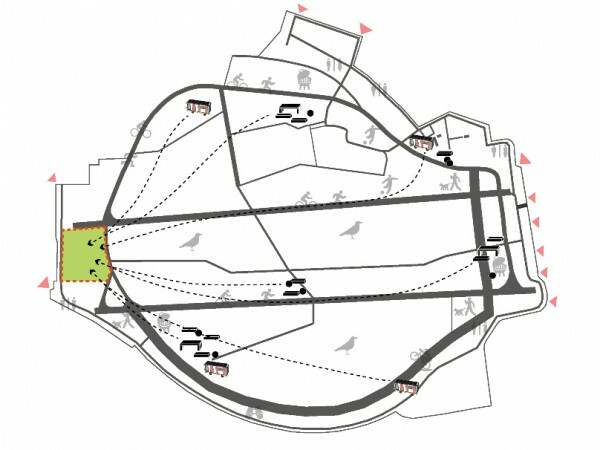 Though plans for the use of the airfield by Raumlabor have been under development since the airport closing. And is popular even in the harsh Berlin winters. 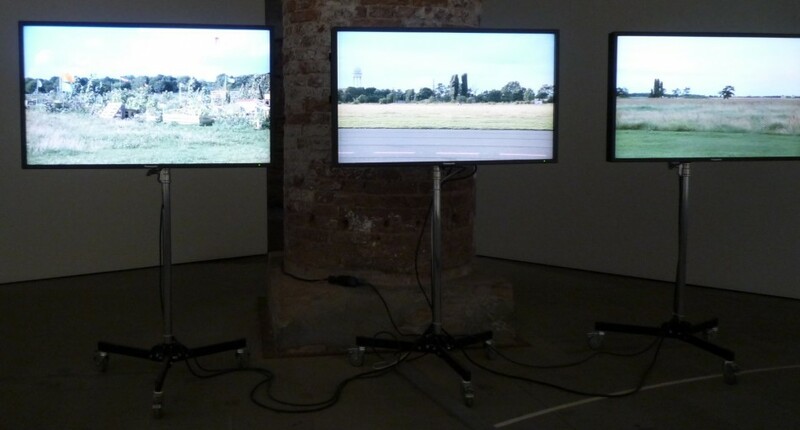 Also got attention for the architectural Venice Bienale 2012. 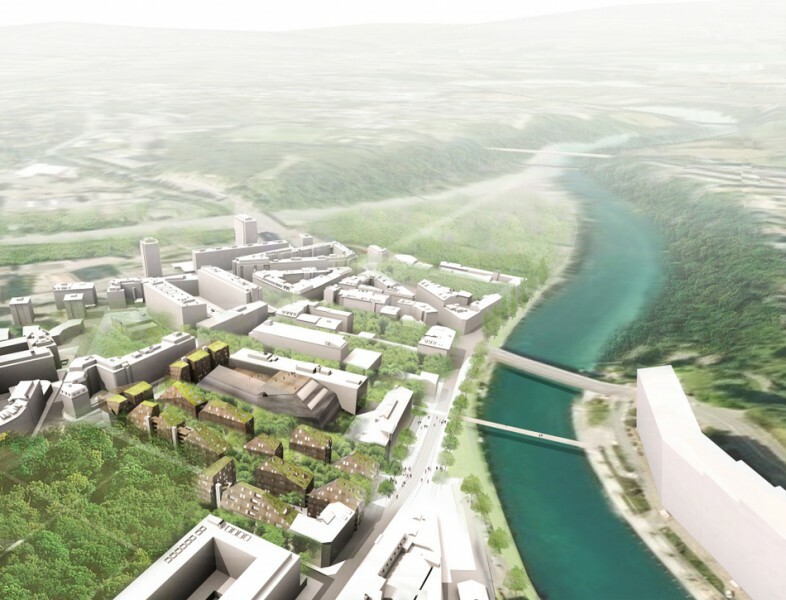 Still, the Senate has been willing to develop it and awarded Gross.Max through a landscaping competition for a huge park, but smaller than the actual. As mentioned previously, Berliners have opposed the plan. 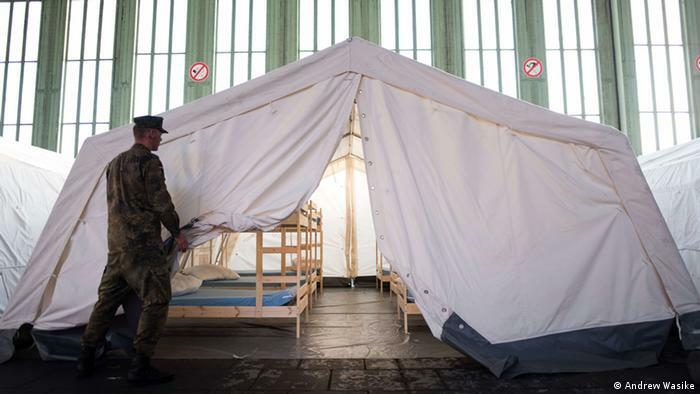 Despite its popularity, the Tempelhof airfield is decaying. Big events and fairs, like the Berlin Festival or the Bread and Butter show, that used to happen there, are cancelled. Also being commercial events, they used to give a justification to maintain the size of the field. Pioneering activities, like the Arche Metropolis, have been expelled. It seems that there is a will to discourage popular usage of the space. A new bill is also being suggested limiting the scope of referendums in the future. The argument is that they are costly. 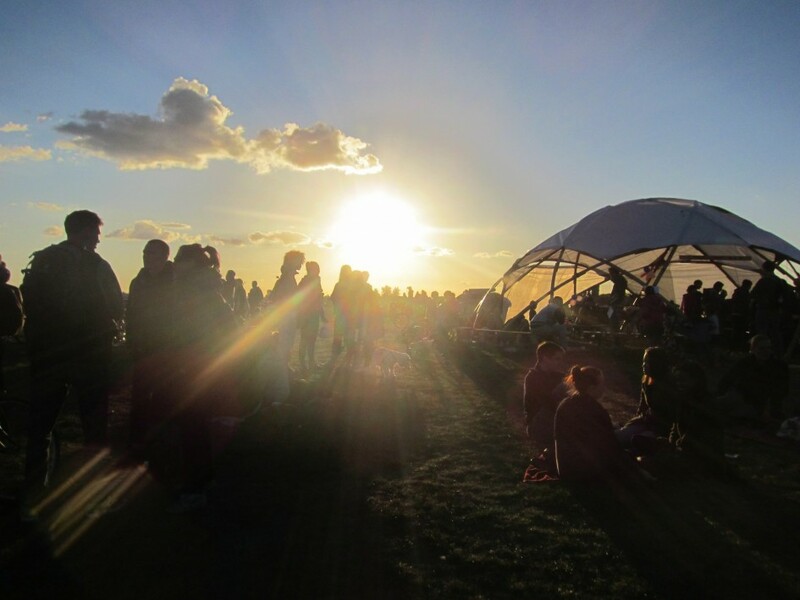 There are now discussions to build shelters for refugees on the field. They are already currently hosted in the main building. Isn’t it an instrumentation of the dramatic humanitarian crisis, as a first step towards permanent constructions? This wouldn’t be the first time. The beloved Cuvry Brache, an open air street art museum attracting thousands of visitors, has first been turned in a kind of camp for freaks and nomads. Their presence has been tolerated until a building permit has been delivered. 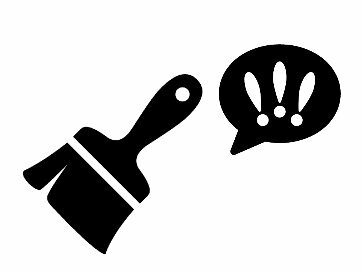 The art on the walls has since been painted black, probably by the artist himself. There is no doubt that Berlin needs more affordable housing. The city has attractive features, like Tempelhof airfield. The population increases. Add people in need coming from countries at war seeking options to settle down. They don’t need new and cheap homes built just for them. Look at France what happens when you create ghettos in the suburbs ! They shall get access to the common housing offer. 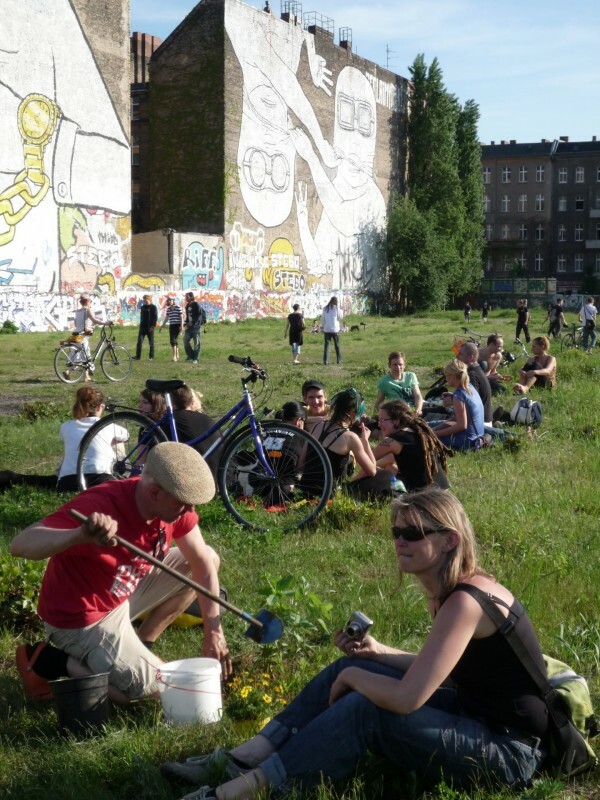 There are plenty of areas in Berlin that don’t have the same power than Tempelhof and that should be developed first. 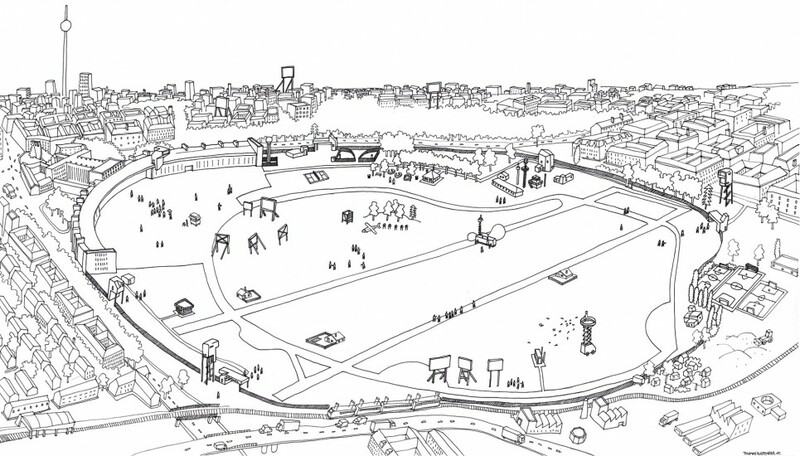 How would Chinese architecture students react to such a huge space like Tempelhof? Wasted? No, enthusiastic (despite 36° in the shade, and there is none in Tempelhofer Freiheit). 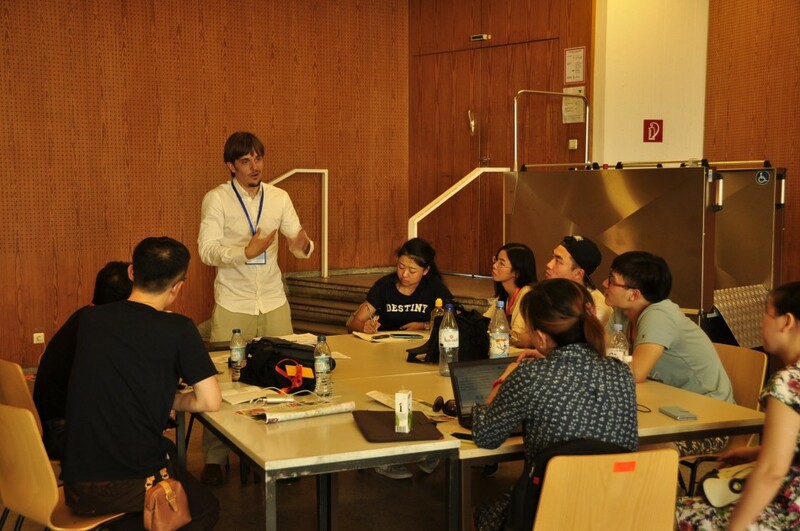 I have been mentoring for the Berlin 2030 summer-school at TU Berlin. The students and academics have been coming from the North China University of Technology, the Beijing Jiaotong University and the Beijing University of Technology. 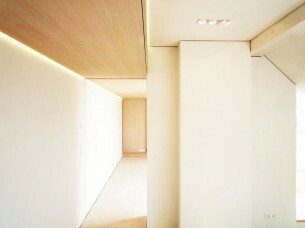 The group has been particularly interested in the pioneering fields concept by Raumlabor. They have been advocating these areas should be reactivated. They have noticed the west field has been unused. Their proposal has been surprising. 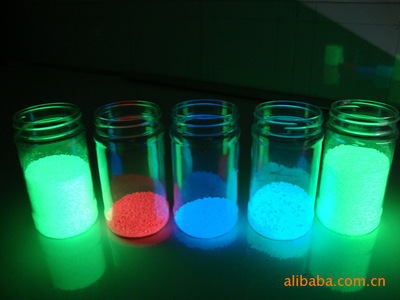 The group suggested the use of a glowing paint, quite common in China. 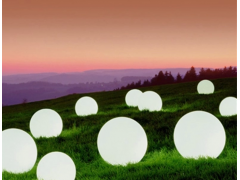 It could customize movable objects to feel at ease in the park, like benches, tables, but also movable fitness balls. 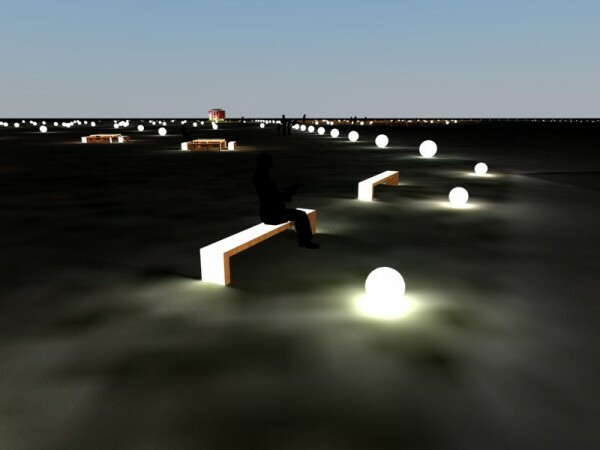 Take your brushes, and make Tempelhofer Feld glow at night !